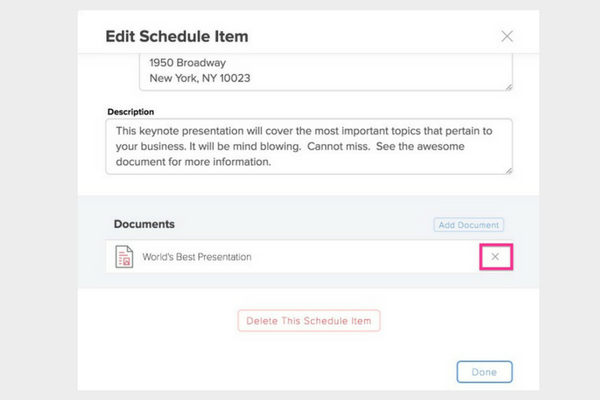 At the bottom of the schedule detail page simply hit "add document"
To delete a document added to a schedule page, simply go to "Edit" on the schedule item and hit the "x" next to the document you want to delete. It will only delete the document from this page - not from other pages it is attached to. To rename a document once it's been uploaded, you need to rename it from the Documents page by hitting "edit" on the top right of the Documents page and typing in the Name field. You can also upload a new version of the file where you see "Upload a new version of this file." 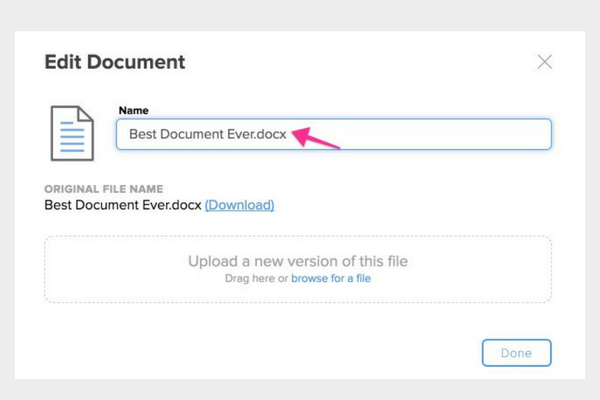 If you have the document in multiple places (eg on schedule pages), updating the file here in a Documents page will automatically update the file everywhere it is linked.